A staff of professionals will take care of your children for 6 days a week: Duneland, Villaggio Fantasia, swimming pools with water games, organic vegetable garden, aviary, the Peter Pan restaurant and lots of lots of activities for their free time. This is why the Resort le Dune is considered one of the best Hotels for children in Sardinia and the Villaggio Fantasia one of the finest village on the island. 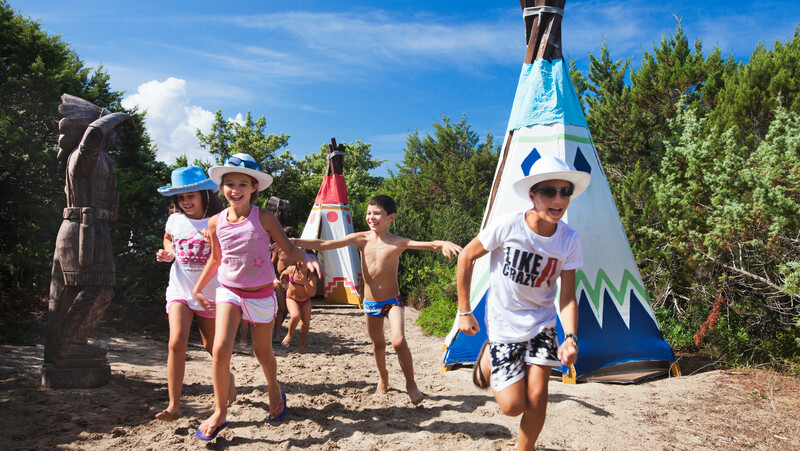 The Resort Le Dune has won numerous awards as one of the best holiday villages in Sardinia for children with lots of free facilities, safe spaces outside and inside and a team of qualified and dedicated professionals who will make their holiday unforgettable. There is plenty of choice between the Baby, Mini and Junior Clubs with activities designed to stimulate their creativity, while adolescents can make friends and have fun at the Teen Club with lots of sport and theme parties, all free. If you’re looking for a holiday with the family, the Resort & SPA Le Dune is one of the best holiday villages complete with entertainment in Sardinia. The bottle feeding preparation facility is one of the jewels in the resort’s crown, created in order to answer the needs of families with young children. A fully equipped area complete with high chairs, changing tables, bottle warmers, sterilizers, micro-wave ovens, saucepans and everything necessary to prepare baby foods in complete freedom, vegetable soups and purèes as well as a supply of biscuits, yogurt, milk, water and fruit juice. The Baby Club is the perfect solution for children from 2 to 3 years old. A free group childminding service is available from 9:30 am to 6:30 pm and in addition there is a group childminding service available in the evenings for an extra charge at the Baby Club from 8:30 pm to 10:30 pm, to be booked on site. Also available for our youngest guests is the little “Peter Pan” restaurant, open every day for lunch and dinner so that they can spend much time with their new friends. To be accepted to the Baby Club a medical certificate is required declaring that the child is “free from contagious and infectious diseases” issued not more than 3 days prior to arrival (a pediatrician is available for a fee). Free group childminding service dedicated to children from 4 to 8 years old, available from 9:30 am to 6:30 pm. Lots of recreational and sports activities designed for their entertainment and the opportunity to leave children with our instructors both for lunch and for dinner at the Peter Pan Restaurant. The after-dinner period is livened up with the Baby Dance, captivating dances inspired by the world of fairy tales for children to go wild with Delphina and Saponello, the Resort’s lovable two mascots. For children from 9 up to 13 years old, this is a free group childminding facility available from 9:30 am to 6:30 pm with recreational and sports activities to make their holiday really enjoyable. Plus, there is a weekly rendez-vous with the entertainers for dinner and a theme party, so that they can have fun together with their new friends (registration required beforehand). A free service dedicated to young people from 14 to 17 years old. An exclusive and reserved location, no adults allowed, where make friends and enjoy in safety with non-alcoholic Happy Hour and nice evenings in a great atmosphere. Furthermore archery, 5-a-side-football, beach volley, mini basketball, tennis and all other scheduled activities. Services and facilities may vary depending on the Management’s decision and are not available on Saturdays. The Villaggio Fantasia is a paradise of around 10,000 m2 within the Resort Le Dune designed for the entertainment of the youngest guests, and complete with play area, swimming pool, Indian camp and “Fort Crock”, the cowboy fort, all aimed at inventing new games surrounded by sand dunes and juniper trees. Thanks to all these facilities, it is considered to be one of the best holiday villages in Sardinia for children. Duneland is the enchanted castle for children with creative workshops, a play area, cinema, padded play area, little Peter Pan restaurant and Pisolo nap room complete with cots. It is also a world for families with nursery with bottle service. The Peter Pan restaurant, a little restaurant with a large veranda, open every day at lunch and dinner for guests of the Baby and Mini Club. Genuine food and “0” kms cuisine: the vegetables and eggs come directly from the resort, collected by the children from the Il Peperone organic vegetable garden and the “Puddaggiju”, our very own aviary. (The assistance of a parent at the Peter Pan Restaurant is required for children up to 2 years old). An educational experience to get to know and love Nature. This is designed for discovering Mediterranean plants and vegetables in the Il Peperone organic vegetable garden by caring for and looking after the various stages of cultivation from seed to fruit, up to picking the vegetables that are then eaten in the little Peter Pan restaurant. In the “Puddaggiju”, the Resort’s own aviary, children can watch different species of birds including the multi-coloured peacocks, the ducks, the sweet little chicks and even collect the eggs laid by the free range hens. Spacious section dedicated to childrens games with inflatable pirate ship with slide, obstacles and a trampoline area, a Fantasy castle with helterskelter and a climbing wall with safety accessories to have fun in complete security, all the time under the supervision of qualified staff. A short distance away is a new area with swimming pool and water games for children. If you’re looking for a summer holiday village in Sardinia we have lots of offers just for you! If you are looking for a holiday with the family and with your children book now at one of our holiday villages complete with entertainment – they are among the best in Sardinia. 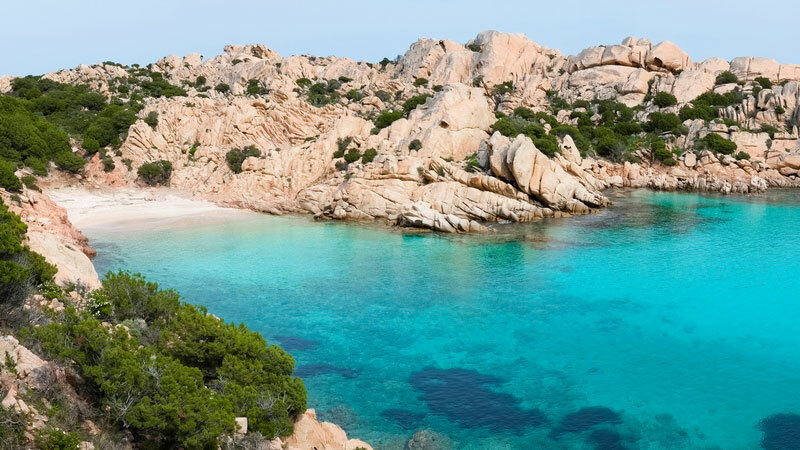 Discover the many Delphina offers for your holiday with the family in Sardinia.